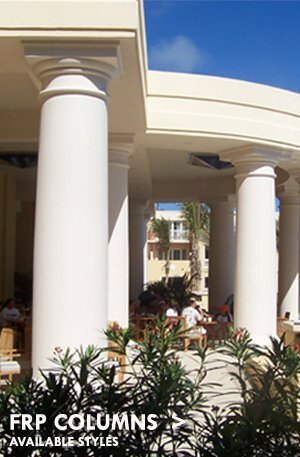 Our Fiberglass architectural columns are designed for all types of decorative and load-bearing interior and exterior applications. Expect extreme durability, minimal maintenance, and many design configurations and sizes. 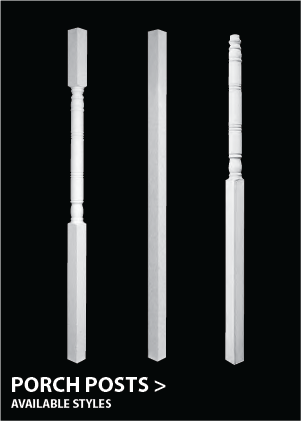 Our Fiberglass line comes in round, square and twist-rope, tapered and non-tapered, fluted, recessed and plain, with Tuscan style caps and bases or an assortment of decorative capitals and bases. 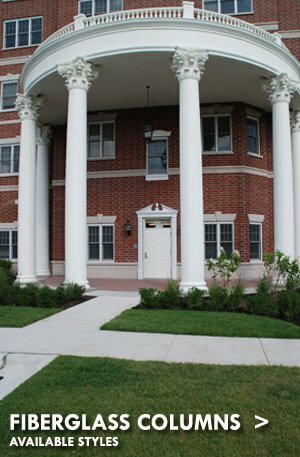 These composite columns are significantly lighter than natural stone or concrete but offer higher tensile strength and high loadbearing characteristics. We also offer a lighter fiberglass (FRP) alternative which you can read about below. 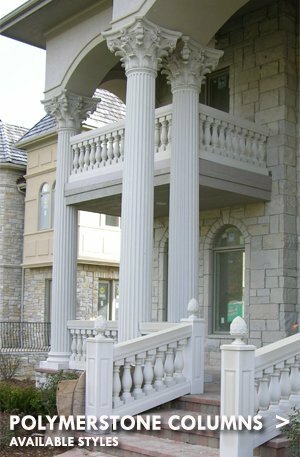 Our Synthetic (Polymer) Stone architectural columns are manufactured using a combination of polymer resin, marble dust, and pigment resulting in a man-made stone column that is fully permeated with the color of your choice. Synthetic Stone is significantly lighter than natural stone and concrete but is stronger, more durable, and looks and feels identical to stone (doesn’t look like plastic). Choose from a smooth or textured finish, round or square, and fluted or plain. We have 4 ornate capitals to choose from as well as Tuscan and Doric Caps and Bases. Fiber Reinforced Polymer columns are a lighter alternative to Fiberglass. FRP is predominately comprised of fiberglass strand which makes the product stronger than steel. 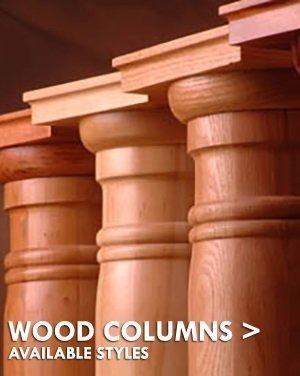 These architectural columns are usually ordered as surrounds or as 2 halves that are quickly “re-assembled” using the embedded lap joints to form one whole. Factory assembled is an available option when whole columns are needed. 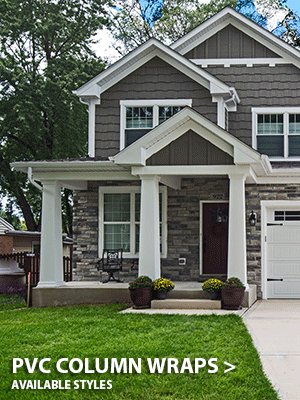 This product comes standard with a white gelcoat finish but is limitless when it comes to the variety of stone-like finishes and solid colors that we offer. The product can come in a matte finish, a glossy finish, or a textured finish that feels like stone. FRP is much lighter than Fiberglass and Synthetic Stone and is available in every size as those two product lines. 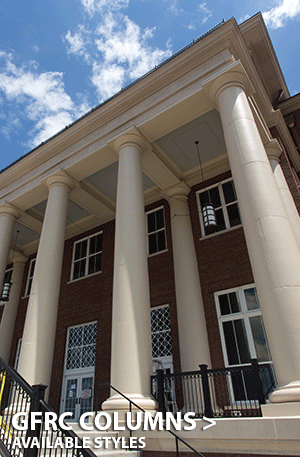 Our Glass Fiber Reinforced Concrete Columns are manufactured using a combination of concrete, fiberglass strand, and pigment resulting in a stone-like concrete column that is fully permeated with the color and texture of your choice. GFRC is similar to our synthetic stone products except that they are segmented to imitate natural stone columns. GFRC is lighter than natural stone and solid concrete but is heavier than our polymer stone columns. It is load-bearing even though it is segmented and can be made structural. They are available in every style and size as our other products or in any size that you can envision or require. 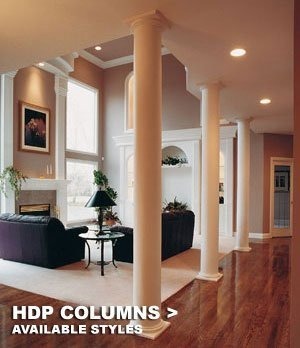 Our High Density Polyurethane (HDP) Columns are purely decorative. HDP is an alternative to wood that will not rot, crack, or split. It is essentially a high density foam product with a density similar to white pine. Our Cellular PVC columns are a wood alternative that will not rot, crack, or split due to a closed cell structure that doesn’t absorb water. Made in 2 corner pieces to avoid more seams than necessary, the two corner halves are quickly assembled around structural supports, including wood beams, lally columns, and anything else that can fit inside. Our stain-grade wood line is available in 4 distinctive wood types: Cherry, Mahogany, Hard Maple, and Red Oak. Exceptional craftsmanship with a traditional look from the past with a decidedly modern flair. Click Start to see sizes, styles, etc. Paint-grade wood is also available, email or call for pricing. 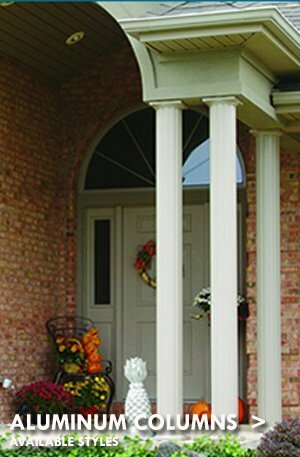 Porch Posts are made in wood and synthetic materials. The synthetic porch posts are made in the same material as our vinyl quick rail product. It has the same lifetime finish. The shell is composed of a UV-Protected vinyl with an internal core that includes structural galvanized steel tube. Wood Porch Posts are primed and ready for paint. Both are load bearing and structural. Our Aluminum line is one of our least favorite due to the lifeless appearance of these non-tapered “posts.” The product is of the highest extruded quality, made in America, and comes in 5 prefinished color options that are baked into the product; however, our fiberglass line, which is architecturally correct in appearance, comes with a lifetime warranty and is hands down the best value. We understand that some projects are budget sensitive or must incorporate the products that are specified so continue to our Aluminum page to read more about our lineup.